This entry was posted on February 22, 2011 by joeleagle. 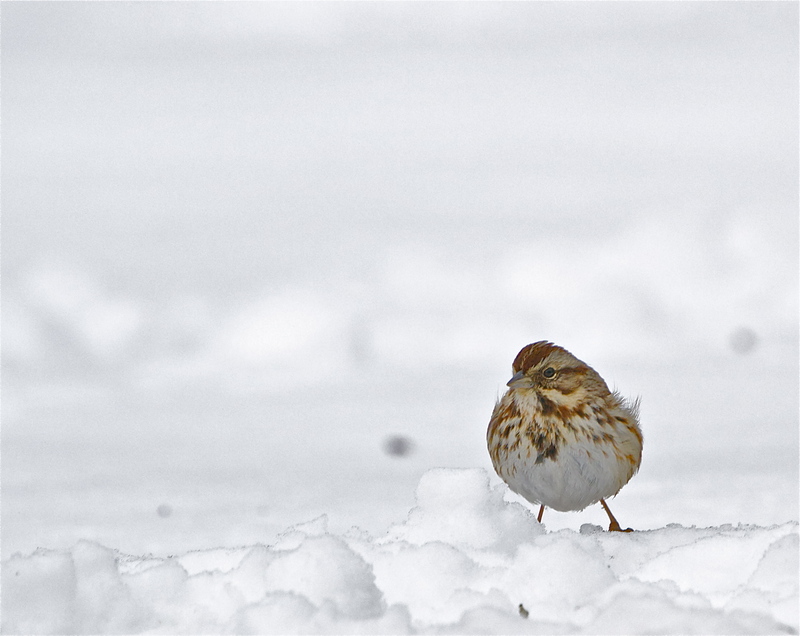 It was filed under Birds and was tagged with snow bird, sparrow. Joel! I’m the one that should be thanking YOU! I will definitely post and send you pics when I paint those precious sheep! Honestly, I wish I worked in oils because those pink noses are screaming for a blob of pink oil, but watercolor will have to do…or maybe I should try…we’ll see! Thanks for the inspirations!!! I am an avid follower via Susie!!! Oh yeah, and this little guy needs to be painted too!!! This is a gorgeous photo. I love the composition and sense of attitude from the little guy! His face expresses my sentiments exactly. Bring on the spring! Love the attitude — it’s gonna take a lot more snow to get this guy down. Visiting from Juniper Moon Farm! I love the crocus picture!